Mothers: An Essay on Love and Cruelty is guided by a simple argument: that motherhood is the place in our culture where we lodge - or rather bury - the reality of our own conflicts, of psychic life, and what it means to be fully human. Mothers are the ultimate scapegoat for our personal and political failings, for everything that is wrong with the world, which becomes their task (unrealizable, of course) to repair. To the familiar claim that too much is asked of mothers - a long-standing feminist plaint - Rose adds a further dimension. She questions what we are doing when we ask mothers to carry the burden of everything that is hardest to contemplate about our society and ourselves. By making mothers the objects of licensed cruelty, we blind ourselves to the world's iniquities and shut down the portals of the heart. 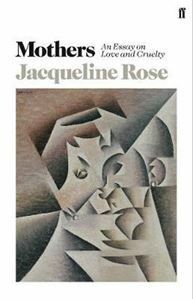 To demonstrate this vicious paradox at work, Rose explores a range of material: investigative writing and policies on motherhood, including newspaper reports, policy documents, and law; drama, novels, poetry, and life stories past and present; social history, psychoanalysis, and feminism. An incisive, rousing call to action, Mothers unveils the crucial idea that unless we recognise what role we are asking mothers to perform in the world, and for the world, we will continue to tear both the world and mothers to pieces.